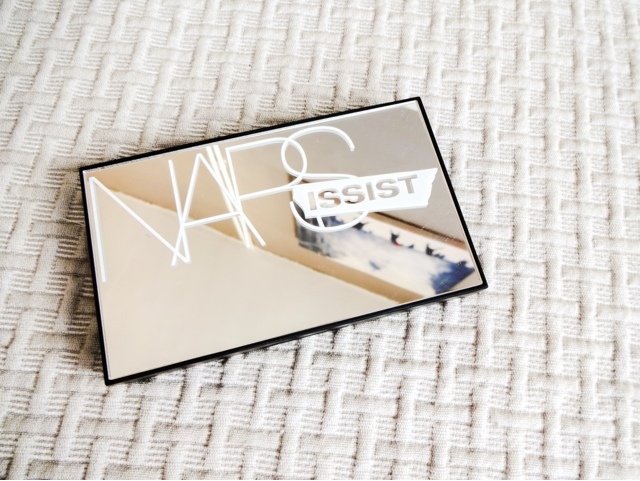 The Dual Intensity palette is a flagship product of theirs and a great introduction to what Nars are all about as a brand. After falling in love with their lip crayons, I’m now being lured in by the eye shades. First of all there was the Narsissist Smoky Eye Kit (read my review of that here), and then this thing of beauty. 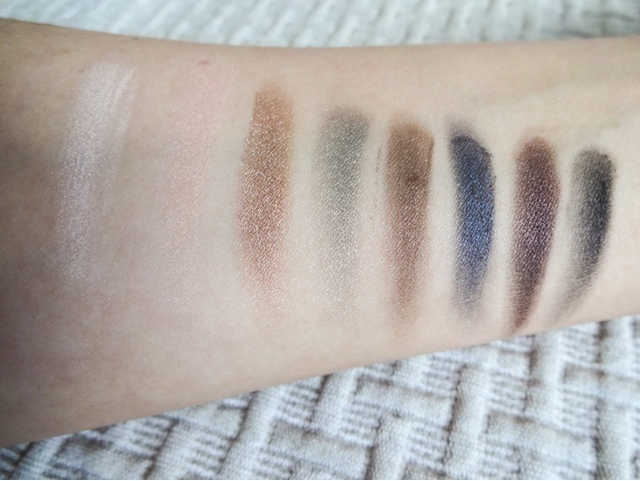 The Dual Intensity palette contains eight shades of out of this world colour, that can be used wet or dry (hence the ‘Dual’ in the title) to create an array of effects. First up, the packaging, because I’m shallow like that. The whole thing comes in a sturdy plastic mirrored front compact. 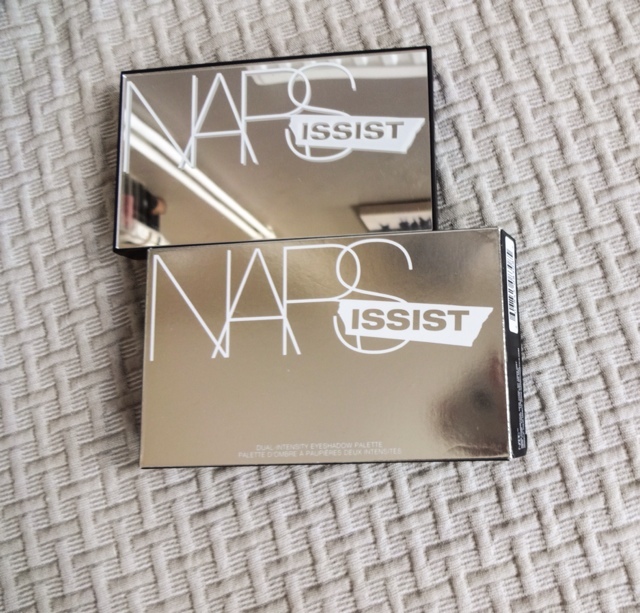 Its minimalist, sleek and achingly pretty in a no-nonsense way – classic Nars. Inside are the pans of shadow with line patterened embossing and a small brush. The brush isn’t rubbish, but nor is it anything special - I’ve just been using it for wet application only, and continuing with my usual brushes for dry – but it would be useful when travelling. There are seven shades from the permanent collection, and one exclusive to the palette which makes it great value over collecting individual shades. At £45, the palette is definitely an investment, but the selection of shades and the price compared to individual shadows is good. Plus, the quality is phenomenal. What appealed to me most was the broad selection of colours – as well as some pretty, light shimmering neutrals there are some bold, standout colours. 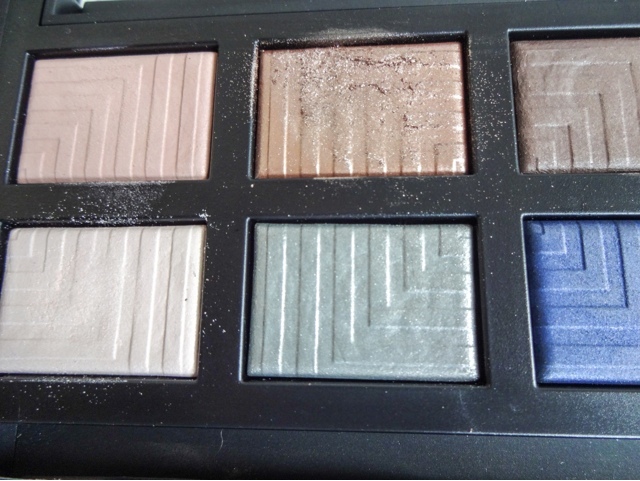 Enough to make this palette stand out and more than enough to make it very desirable to any make-up junkie. Because of this, it would be well suited to travelling, as it gives you a fair range of day to night options. Everything in here is metallic and quite standout, so if you’re a lover of matte shades, there’s nothing here for you. This palette is loud and proud, and aimed squarely at those who like to be bold with their eye makeup, and are reasonably confident with using colour. The finish is high-impact and pearlescent, as opposed to glittery – so that the finish is still sophisticated. They bring light and dimension to the eye area without being too ‘disco ball’. Don’t they just sound edible? All the shades are delicious, but I immediately knew I’d get the most use from Europa. And I just wanted Giove because navy shades are so gorgeous on brown eyes. The only shade from the collection that I regret them not including is Phoebe, which is a multi-dimensional purplish grey (sort of like Mac’s Slate but more pyrotechnic). If you wear the shades dry, the effect pops but is a little more subtle. Wet use really makes them come alive, and they work well used with a liner brush. 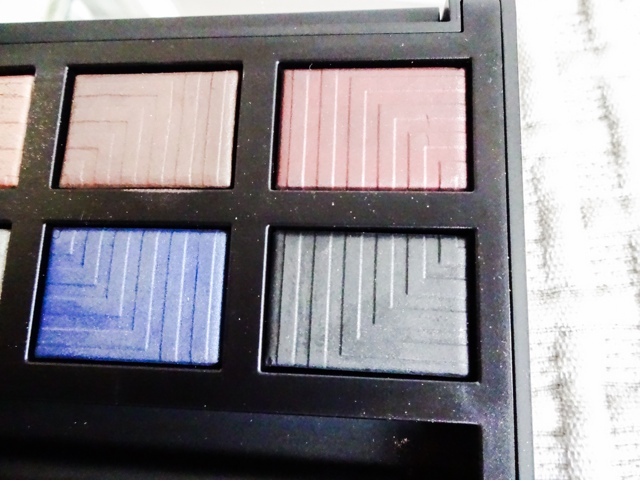 Either way, the texture of the shadows are buttery soft and the pigment is unreal – as you’d expect from Nars. You can also get clever and experiment by applying the dark shades wet, then layering the lighter shades dry on top, which gives an amazing effect. Application is pretty smooth with or without an eye primer – these shadows don’t need one to make them work overtime. One tip I would say is that with any dual use shadow, if you are using sometimes wet and sometimes dry, you can often end up changing the texture of the shadow in the pan. So if you want to use these wet, I’d be more tempted to apply some on the back of your hand, and mix it with water or spray primer there, rather than actually wetting the shadow pan in the case. It’s a little bit more hassle, but worth it to keep the palette pristine. 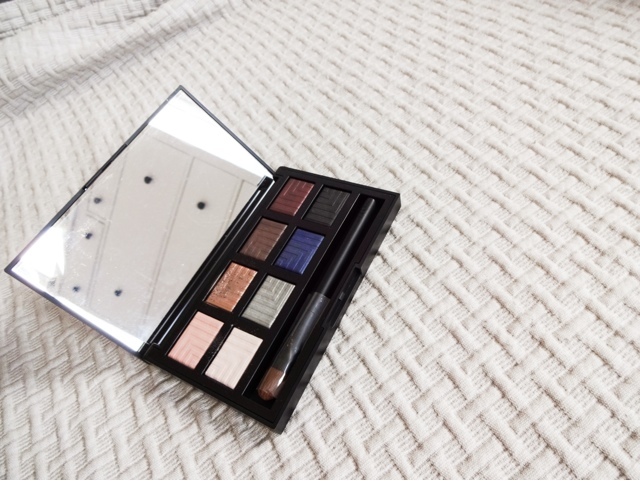 This is a seriously heavy weight palette for serious make-up lovers. 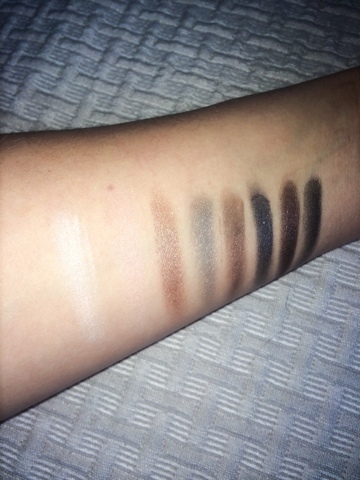 The finishes are beyond beautiful, but they are full of impact too, and I think this only works for those who are serious about make-up, like an eye catching shadow effect and know how to use it well, due to both the finish of the shadows and the high price point. Its bold, and you have to know what you like and have the guts to experiment with it. I’ve been turning to YouTube for tips and tricks, because the combinations and the possibilities are endless here. 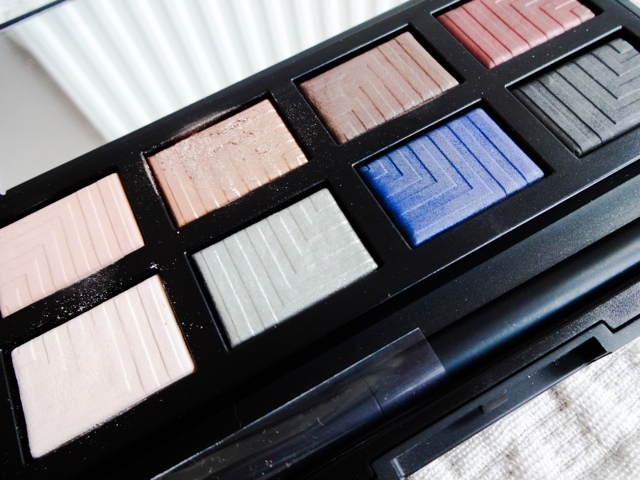 A beautiful buy for beauty junkies!